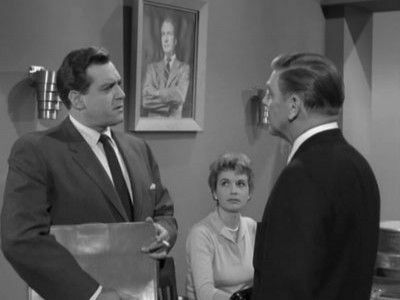 There are few actors so closely tied to a persona than Raymond Burr as Perry Mason. 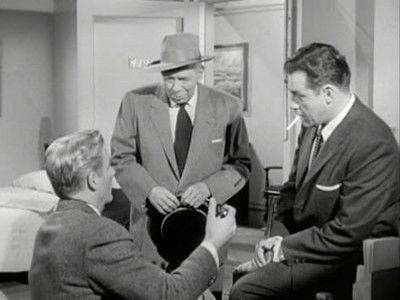 This long-running series was built upon Erle Stanley Gardner´s many novels about a brilliant defense lawyer and his staff, that solved many a crime with surprise witnesses and stern cross-examinations.It was the first mystery series to feature chalk or tape outlines to mark the spots where bodies were found. 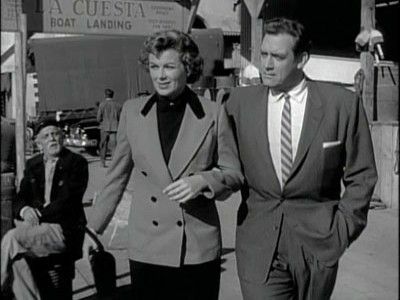 Filmed almost exclusively in the Los Angeles area, Raymond Burr had Gardner's seal of approval in the role. 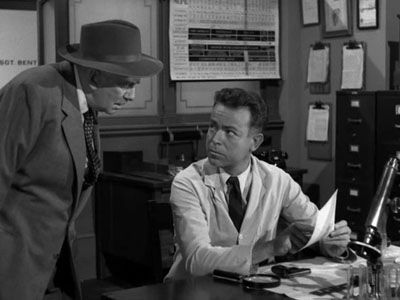 The cases were usually won by way of pivotal confessions of witnesses, solicited by Perry Mason (Burr's) surgeon-like examination or with last-minute, key evidence brought into the courtroom by private investigator, Paul Drake (William Hopper). 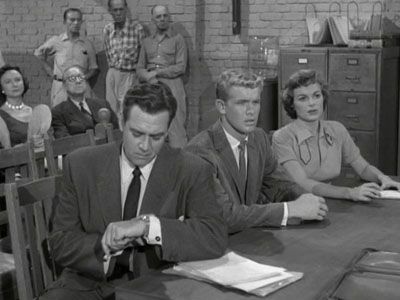 Della Street (Barbara Hale), Perry´s faithful secretary, was always at Perry's side in the courtroom where hapless Hamilton Burger (William Tallman) was the Los Angeles District Attorney who never seemed to win. 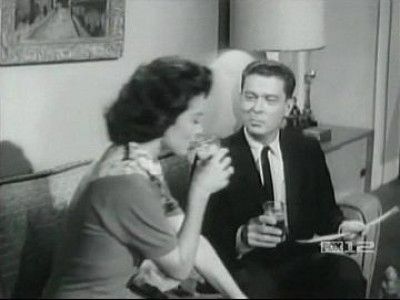 As to the myth that Perry Mason never lost, there were 2 episodes where it did occur... but you'll have to watch to find out.The show was revived in 1973-74, with other actors in the familiar roles (Monte Markham as Mason), and then again with the some of the original cast, in a string of feature length TV films from 1985 until Raymond Burr´s death in 1993. Perry has all kinds of troubles in this one when a murder brings him into the tangled financial and personal affairs of the wealthy Balfour family. 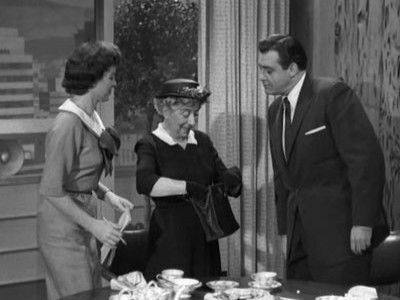 While Martha Bradford is waiting for her appointment at a beauty parlour, she meets Rita Bradford who apparently is also married to Joe Bradford and lives at the same address. Joe Bradford is preparing for a business meeting in San Diego. He makes plans to meet his wife Martha but fails to show up. Joe Bradford is found dead on his boat the next morning and Martha Bradford is accused of his murder when her fingerprints are found on a candle located on the boat. Restrauteur Morey Allen, a friend of Perry and Della's, has a problem: his waitress, Dixie Dayton, was struck by a car while fleeing the restaurant after spotting a man stalking her. The only item she left behind was a moth-eaten mink. 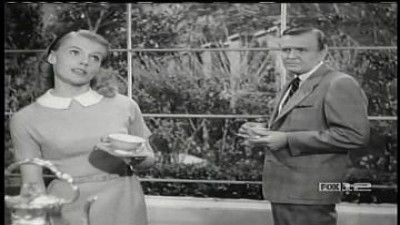 When the stalker is found murdered, Morey and Dixie are both strong suspects and eventually get arrested for the murder. The case also ties in with the murder of a young policeman several months before. 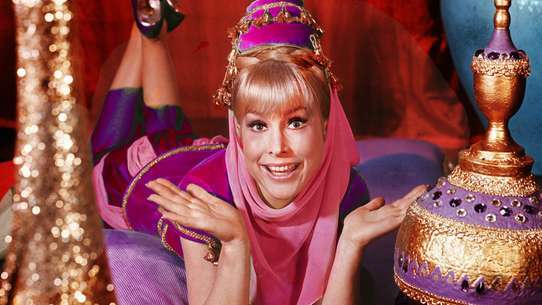 Gossip columnist Mary K. Davis is found murdered and it seems there is no shortage of suspects. There was her politician-husband to whom she refused to grant a divorce. There was her timid secretary whom she bullied. There was the secretary's boyfriend who had some secrets in his past. There was the doctor running an illegal baby-selling scheme whom Mary threatened to expose if he didn't give her a child. 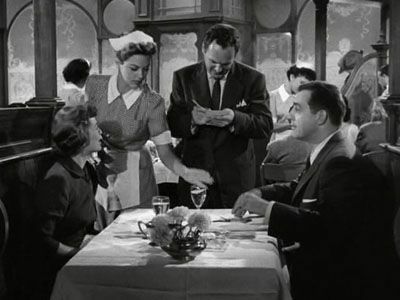 Leona Walsh, the doctor's nurse, ends up being charged with the crime and this time Perry has to tamper with some evidence in order to clear his client. When wealthy Louise Gordon is poisoned to death her nurse is charged with the crime. Perry does some digging and discovers that the first wife of the victim's husband also died of poisoning. Is the husband really the culprit or could it be someone else? 18 year-old Trudy's mother has died leaving her $10 million and suddenly men claiming to be her long-lost father are coming into town. The only one who could identify the real father, a blind uncle, is killed, but by who? A young widowed high school English teacher in a small town is accused via letter of making passes and more towards some of her male students. 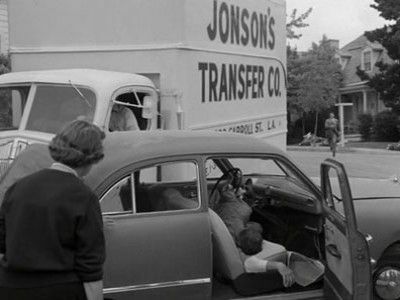 But a small town is small town and it seems that all the key figures are involved somehow, the principal, the lawyer, the doctor, the local barkeep, and of course the oldest boy, who's really more of a man, in the high school. Arlene Dowling reports the theft of all her belongings, including a diary she is anxious to get back. Richard Vanaman is up for a promotion at his investment firm but is sabotaged and framed for murder. When Daniel Reed (Edgar Stehli) finds himself being blackmailed by an old business partner from his time in Alaska, Perry must first save him from the insane asylum and then the gas chamber. Convinced that Reed has lost his mind when he begins writing $20,000.00 checks to strangers, his heartless niece and nephew have the old man forcibly placed in an insane asylum. Perry is enlisted by Reedâ€™s girlfriend Millie Foster (Kitty Kelly) to get him out of the asylum and he is no sooner granted his freedom than his blackmailer turns up dead and Reed stands accused of his murder. Claire Olger is hitchhiking because her purse was stolen at the bus station and is picked up by Michael Greeley. He loses control of the car and has an accident due to his being intoxicated. Arriving at the scene of the accident, the police find Claire in the driver's seat. The district attorney's office questions her but do not believe her story about another driver. 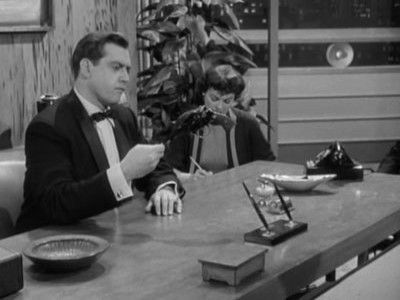 Her friend, Doris Stephanak, asks Perry Mason to help. When Perry is unable to contact Claire at her hotel, he goes there and finds Michael Greeley dead in her room. The police accuse Claire Olger of murder, realizing Michael Greeley fits the description of the man she claimed was driving the car and believe she had motive and opportunity. This is the episode where Della asks Perry how far he would go for a friend and then asks for $25,000. Della needs the money for her friend Janet Brent, who is being blackmailed. Edward Franklin, an employee of Janet's husband, has staged compromising photos of her in a motel. At a party, Janet confronts Franklin and hits him with a small statue of a ""weary watchdog."" 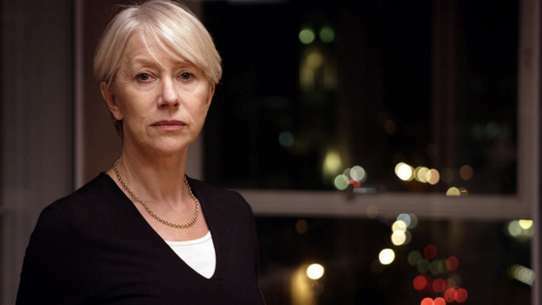 The police arrest Della when they find her driving Janet's car from the scene of the argument. Franklin is dead, struck three times on the head with the statue. Janet claims she only hit him once and Perry believes her. 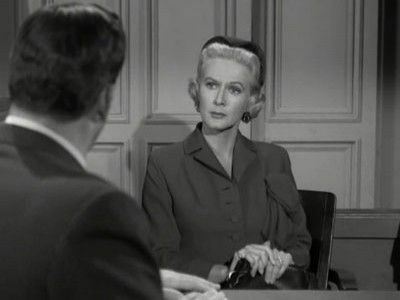 Perry takes the case knowing that if he loses, Della will go to prison as an accessory. There is a surprise in the plot, when a Red Chinese slave market is uncovered. Mitsuo Kamuri has been seeing a great deal of Grover Nichols, son of wealthy businessman Hudson Nichols. 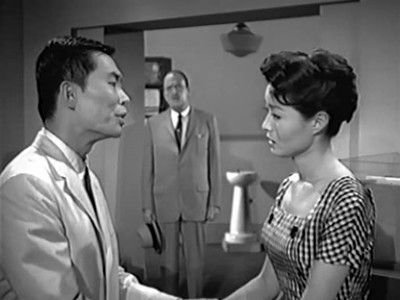 Nichols doesn't approve of his son's relationship and when Mitsuo is "caught" with a string of valuable pearls belonging to Mrs. Nichols he agrees to drop all charges provided she stops seeing his son. Things then get even more complicated when Mitsuo's uncle, who had originally strung the pearls. is found murdered. The death has been made to look like hara-kiri but the police are not fooled. Artist Jack Culross fakes his own suicide and sees the sales of his paintings go through the roof. His only problem was that he forgot to inform his wife Edna of the scheme. 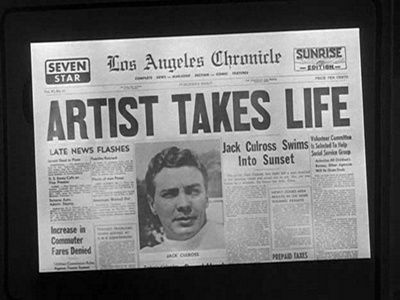 After Edna sees a completed painting of Jack's that she knows he didn't finish while he was "alive" she gets wise. 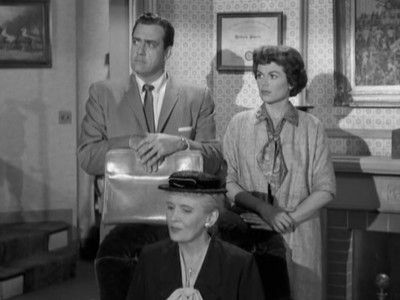 Edna manages to track down her "deceased" husband but they fight and she knocks him down. Then he's found dead. Edna must stand trial for murder. Lorraine Stevens is fighting off the advances of the owner of the import-export company where she works, Philip Larkin. Later that evening she is asked to pick up something at the Alcorn Jewelers store. The owner is unaware of what she is to pick up and suggests she make a phonecall to find out. She calls Philip Larkin and while the phone rings we see Philip Larkin dead in his home. Standing over him is Joseph Harrison who wipes off his fingerprints from the telephone and leaves. When his fingerprints are found on the gun case of the murder weapon he is accused of the murder. 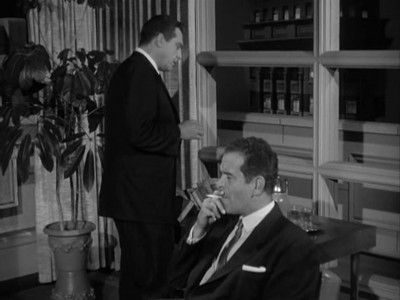 Donald Briggs is an unscrupulous private investigator hired by Clyde Waters to uncover information about Marv Adams, his daughter's fiance. Briggs learned that Marv Adams' father was Ben Devereaux who was convicted of murder 18 years ago. 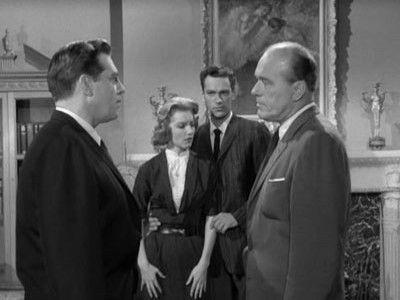 Donald Briggs is trying to blackmail Clyde Waters and Martha Norris in return for keeping silent about certain facts regarding the Devereaux case. 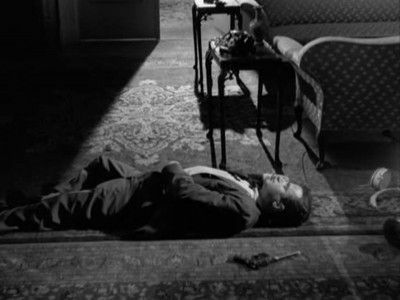 The next evening Donald Briggs is found dead in his motel room and Marv Adams is accused of the murder because he had a fight with Donald Briggs the previous morning. Stefan Riker has come from Germany seeking the woman posing as Lisa Bannister and she believes he can cause her to be deported back to Germany. 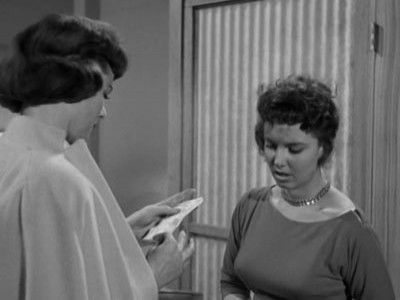 Attempting to help her stepmother, Doris Bannister pretends to be romantically interested in Stefan Riker. During the next few months Stefan Riker receives money and gifts from Doris and seems satisfied. However one night he is murdered and Doris Bannister is accused of murder because her fingerprints are found on a ladder outside of Riker's apartment. When Robert Crane is charged with the murder of his sister's estranged husband Perry needs the testimony of sister Helen Reed to clear him of the charge. Unfortunately for all concerned, Helen suffers from multiple personality disorder and the second personality, Joyce Martel, is the one who is needed as the witness. 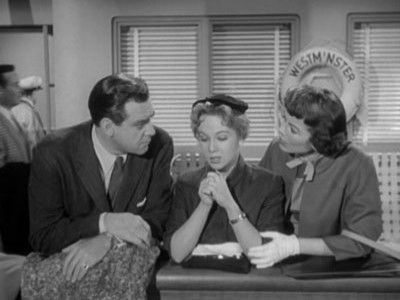 Helen's psychiatrist puts her under hypnosis so Joyce can tell what she knows about the case. 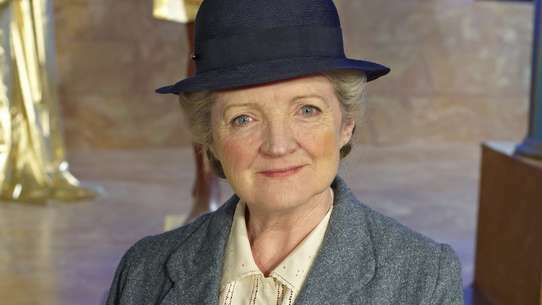 Ruth Prescott wants to divorce Walter Prescott so that she can be with her true love, Jimmy MacLaine. 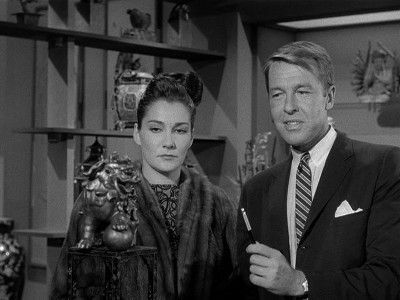 After a brush with death, Ruth becomes convinced that Walter is trying to kill her rather than give her the divorce. Walter then turns up dead and the police are convinced that Ruth shot him but Perry, as usual, doesn't think so. A lame canary and unusual bruises on the victim hold the keys to the puzzle. 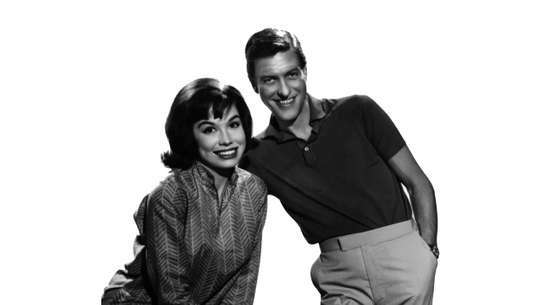 Perry and Della are traveling on a cruise ship returning to Los Angeles from Vancouver. Carl Houser jumps overboard from the ship and is presumed drowned. Houser later turns up on shore but with a bullet wound in his body. Anna Houser, Carl's wife, is charged with the murder of her husband. The case hinges on a tax evasion case in which the late victim sat on the jury and held out for acquittal as well as a mysterious man on board the cruise ship who was in a wheelchair and had his face wrapped in bandages. Wealthy rancher John Brant forecloses on Jo Ann Blanchard's mortgage and takes possession of her prized stallion. 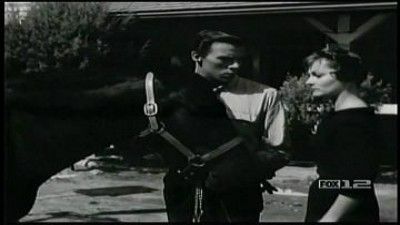 Jo Ann goes to Perry for help in getting the horse back but soon needs Perry's aid in getting her off a murder charge she is arrested for killing Brant. 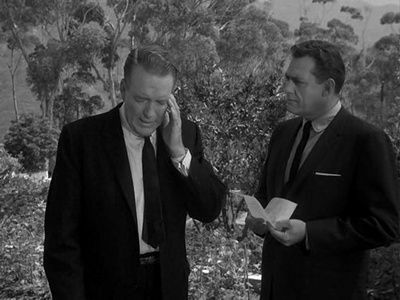 A journalist is murdered while tracking an ex-Nazi war criminal who may be posing as an executive at a company called Space Associates, Ltd.
Perry has to navigate his way through a hornet's nest of murder, hit-and-run, secret marriage, and a missing witness in this episode.